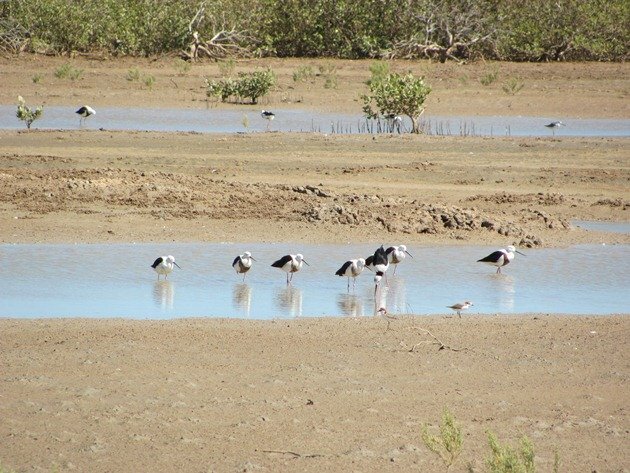 We have finally arrived back home in Broome, but before we left Karratha in the Pilbara region of Western Australia we were lucky enough to see our first Banded Stilt Chladorhynchus leucocephalus for 2013. It is a species very rarely seen in the north, though they do wander and can show up in a variety of locations. They are generally found in large open shallow saline water and our encounter was on the coast right near the township of Karratha. 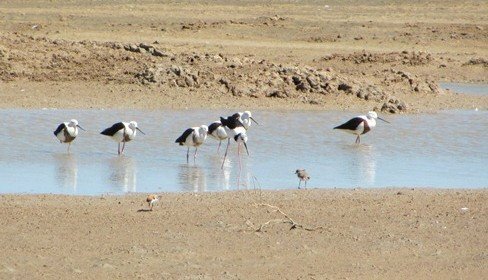 They were amongst Black-winged Stilt and Red-necked Avocet and were feeding in a similar way to the Red-necked Avocet with sweeping movements of their bills. 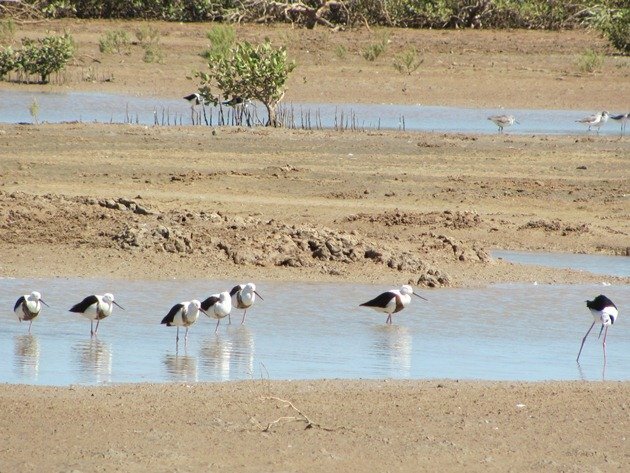 There were numerous other shorebirds present in the same expanse of shallow water at high tide, but on returning at low tide on dusk we discovered that only the Banded Stilt, Black-winged Stilt and Red-necked Avocet had remained. 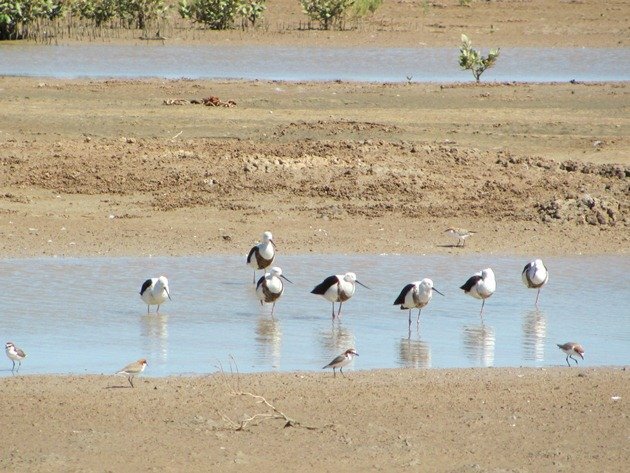 All of the other shorebirds had ventured out onto the mudflats to feed. 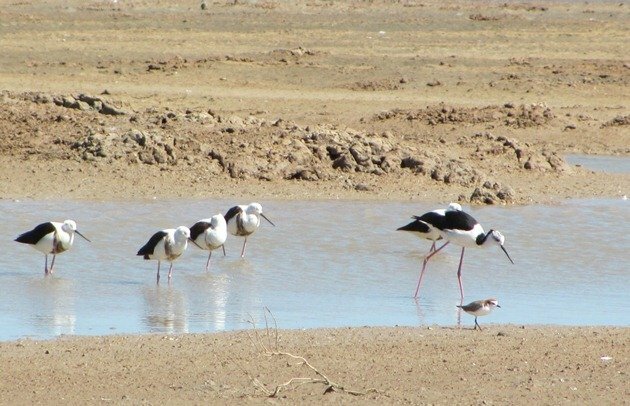 The “band” on the Banded Stilt is not always present and can’t always be used to identify this species. The “band” is generally present in breeding birds. There was one individual with no “band” at all, as you can see in the photographs below. 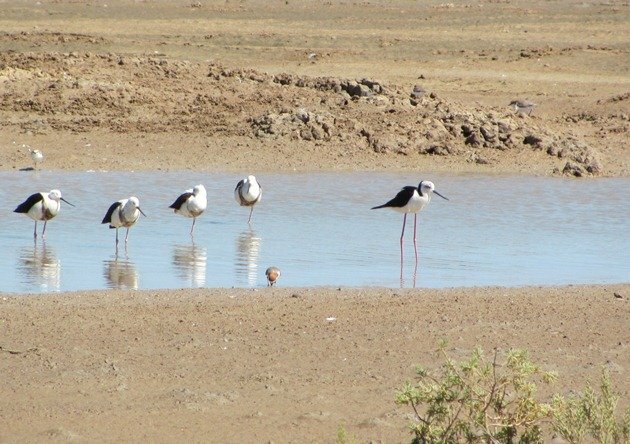 It is a plumper bird than the Black-winged Stilt and the legs are paler. 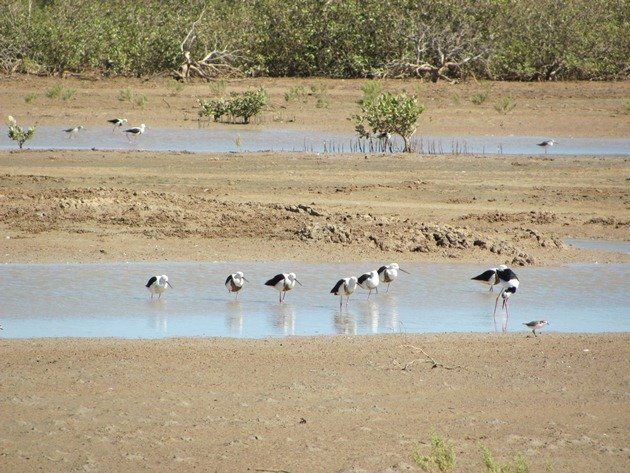 The Banded Stilt were both roosting and feeding in the heat of the day and they mainly eat crustaceans, molluscs, insects, vegetation, seeds and roots. It was interesting to observe the feeding process with their sweeping bill movements, which is similar to that of Spoonbills. 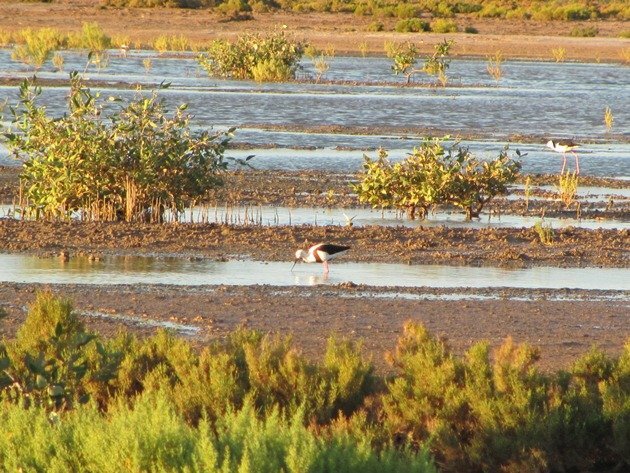 On dusk with the tide out, but saline water remaining across the mudflats, the Banded Stilt spread out and were frantically feeding in the last light. 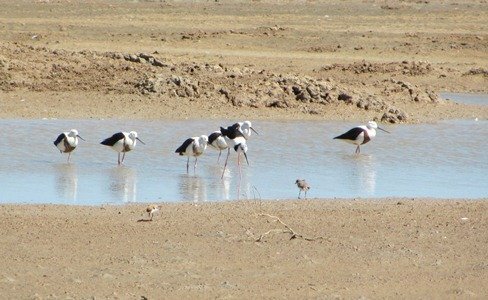 With the nomadic nature of this species they really can show up anywhere and it is advisable to check through any flock of Black-winged Stilt for this species! 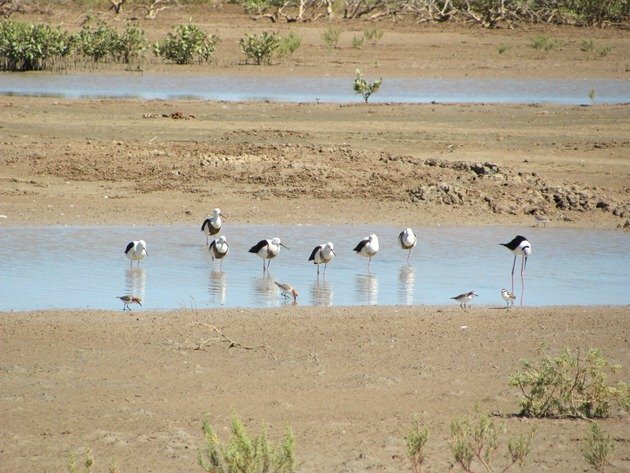 They could easily be overlooked from a distance, especially if their numbers are less than the Black-winged Stilt.